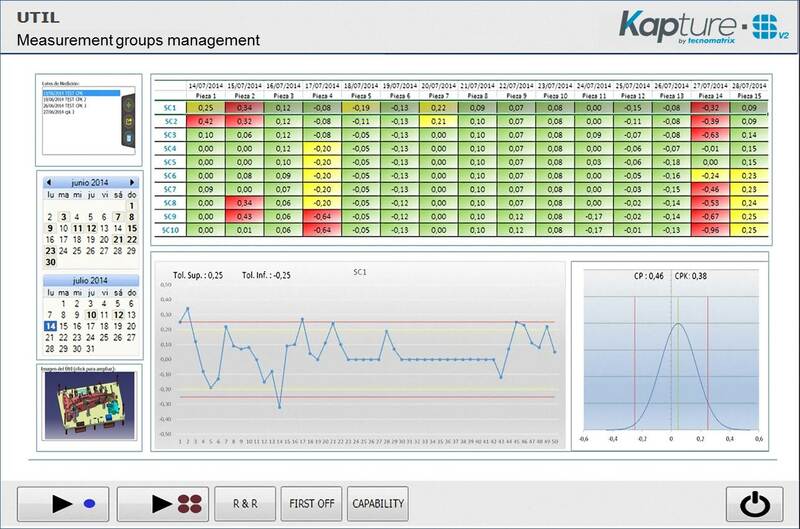 Kapture Data Manager also known as KDM is a complementary Kapture-S software application that receives and analyzes real-time measurements. 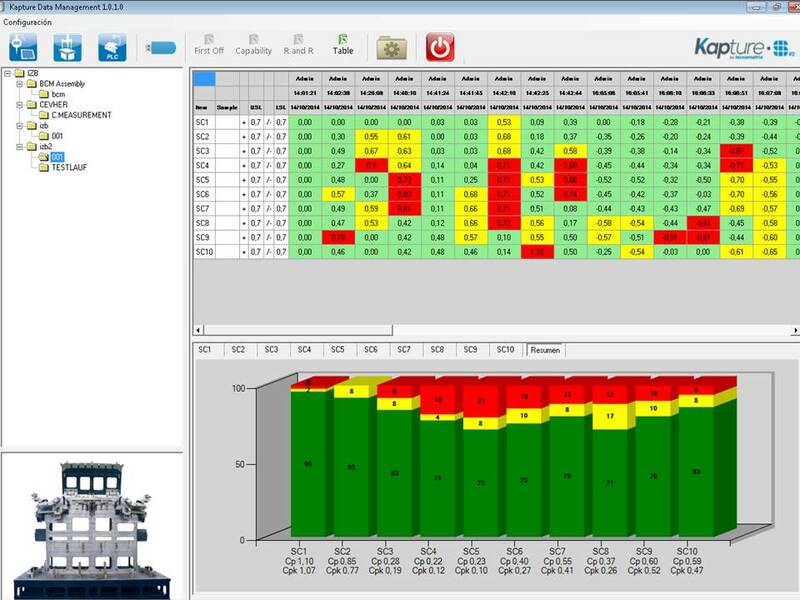 KDM was made for a quick decision-making: thanks to its color-coded data, checking the production process state is easy and quick. FUNKTION MASSE: graphical analysis of your batch, point to point. 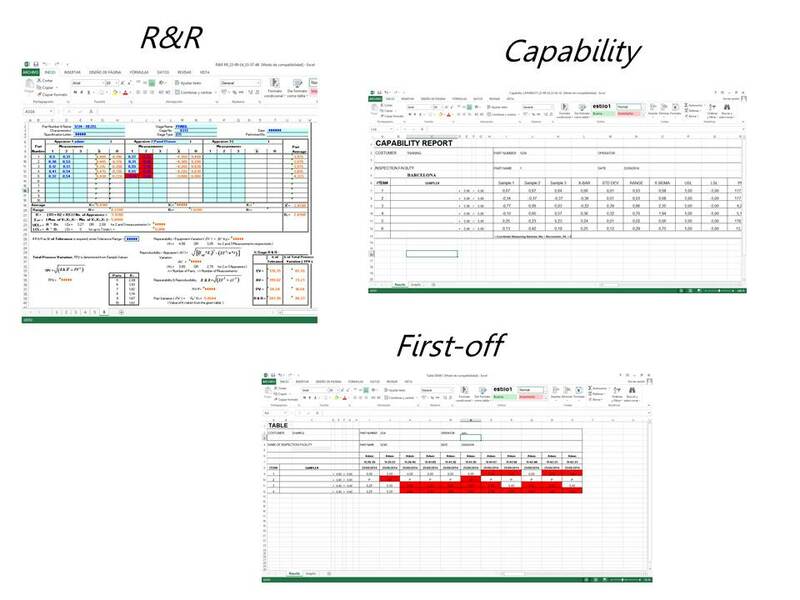 •	Analyze the data directly at the production line or in the metrology laboratory, installing the application on the same terminal (PC or tablet) as the kapture-S software is installed. •	See in real time the results of the measurements of your batch and export them in your R&R, Capability and First-Off sheet. Easy to use. By a simple click on the icons, KDM provides access to a data export directly. Importing data from CMM machines in DMO or TXT format. Data display of the checking fixtures. Fetching data from automated systems. If you want to receive information, or are interested by one of our products, please fill in our contact formular, and one of our sales executives will get in contact with you as soon as possible. CPU: Intel Core 2 Duo o Quad / Intel Core i3 o i5. Dedicated graphic card no required. Internet acces only cloud option.